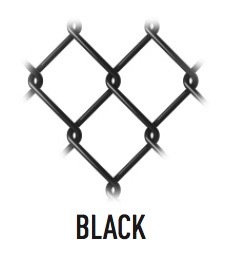 Maintenance free chain-link provides exceptional security and protection in commercial, industrial, institutional, recreational, and residential fence applications. 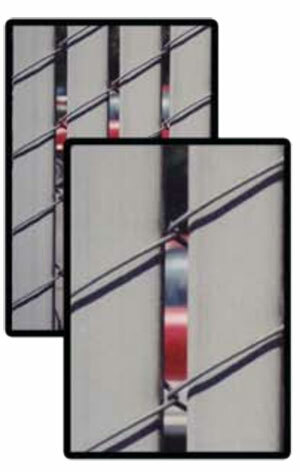 Specially designed Priva-Max® fence slats are inserted into the chain-link fabric during the manufacturing process. The combined strength of the chain-link fabric and the PVC slats results in an extremely durable fence providing a 95% privacy screen. Durable and maintenance free, Priva-Max® is ideal for use in any application where privacy or vista screening are required. Available in standard colors: Brown, Redwood, Green, White, Black, Grey and Beige. 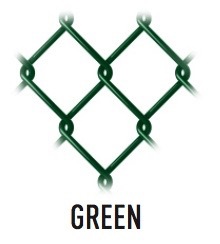 Galvanized Chain-Link Systems is one of the most widely used fence systems today and offers cost effective and economical solutions. 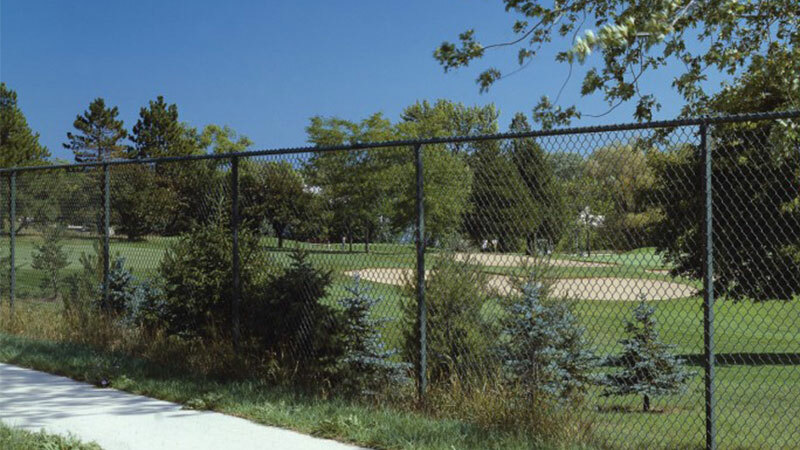 Aluminum coated chain-link fence fabric provides the superior strength of steel, the exceptionally smooth, long-lasting finish of aluminum and the low maintenance security of chain-link fence. 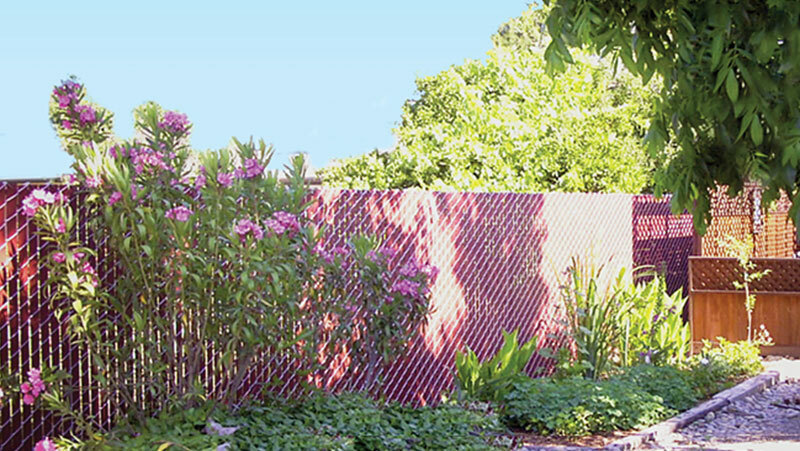 Architectural color coated chain-link systems are the natural choice for projects that require the aesthetically pleasing benefits of color, and the dependable security of chain-link. Comes complete with Pole, 6” Ball,Truck, (2) Snaps, Nylon Rope, 9” Cleat And 3’ X 5’ Flag. Free-Standing, Welded For Sturdy Construction. 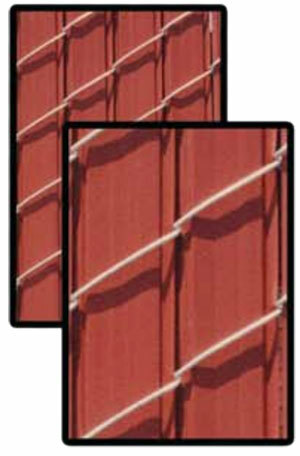 All panels made standard with 11 ½ gauge galvanized wire and1 3/8” galvanized tubing. All gates are complete with brace andprovision for padlock. Available in 4’, 5’ and 6’ high. Panelwidths from 4’ to 16’ wide.